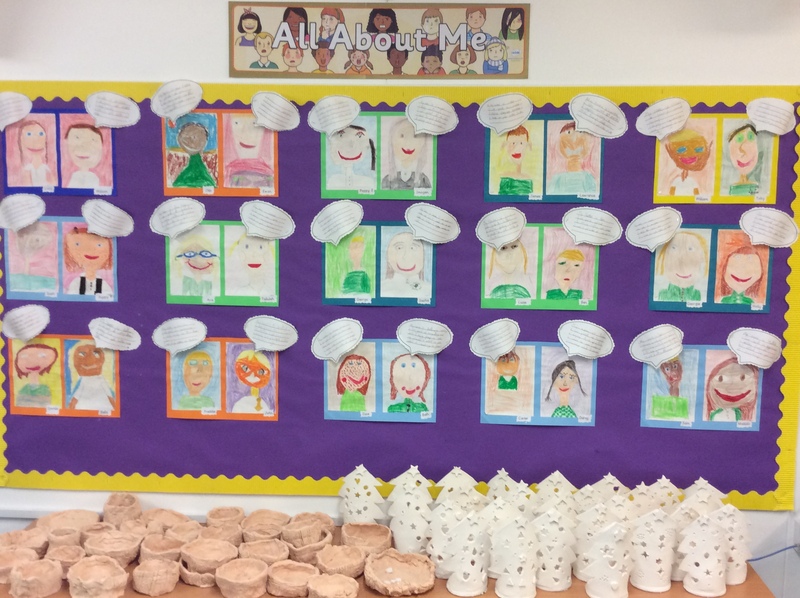 We started the year telling the class about ourselves. 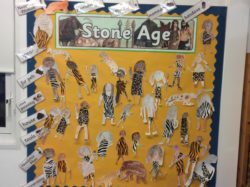 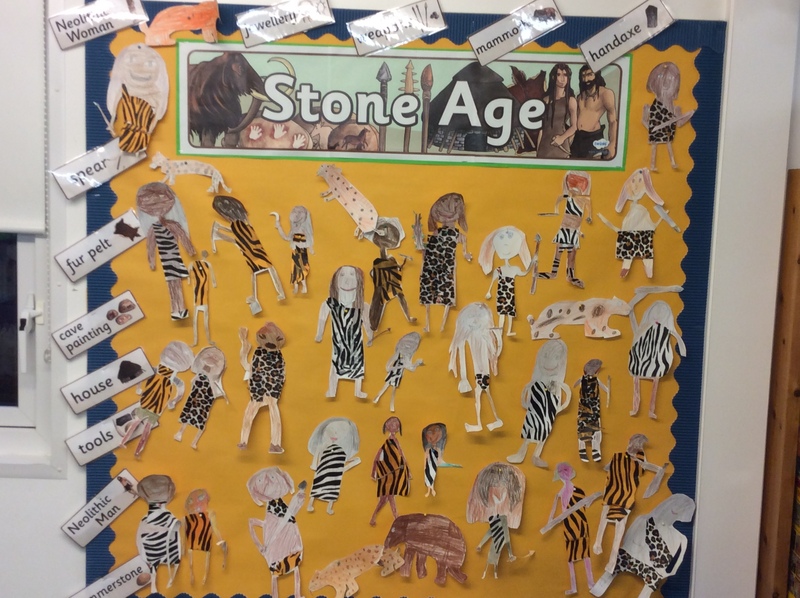 Our History studies have taken us back several million years to the ‘Stone Age’. 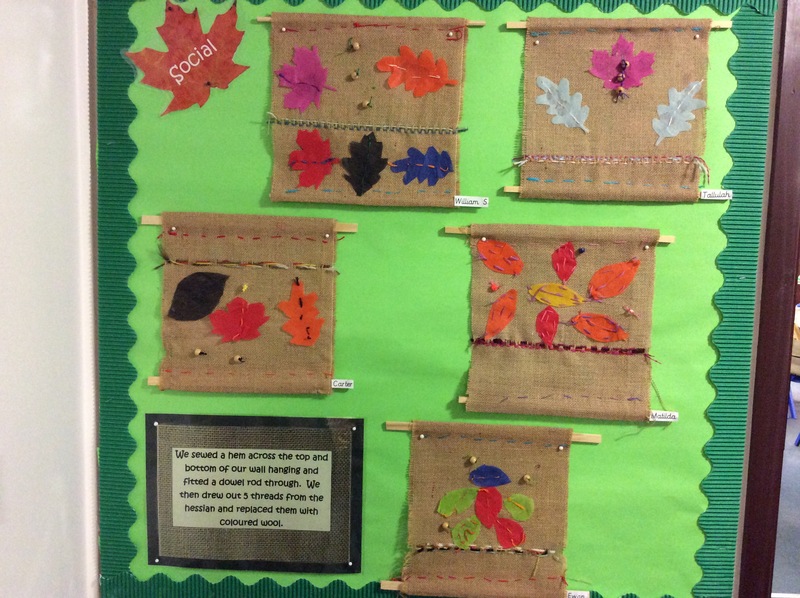 In Design and Technology we created Autumn wall hangings. 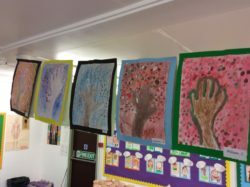 We measured, cut, sewed and used drawn thread techniques to create these designs. 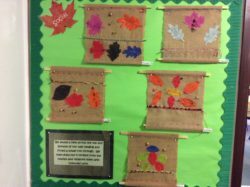 We sewed a hem across the top and bottom of our wall hanging to fit a dowel rod through. 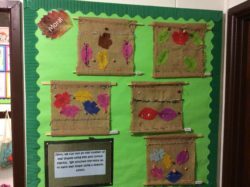 We then drew out 5 threads from the hessian replacing them with coloured wool. 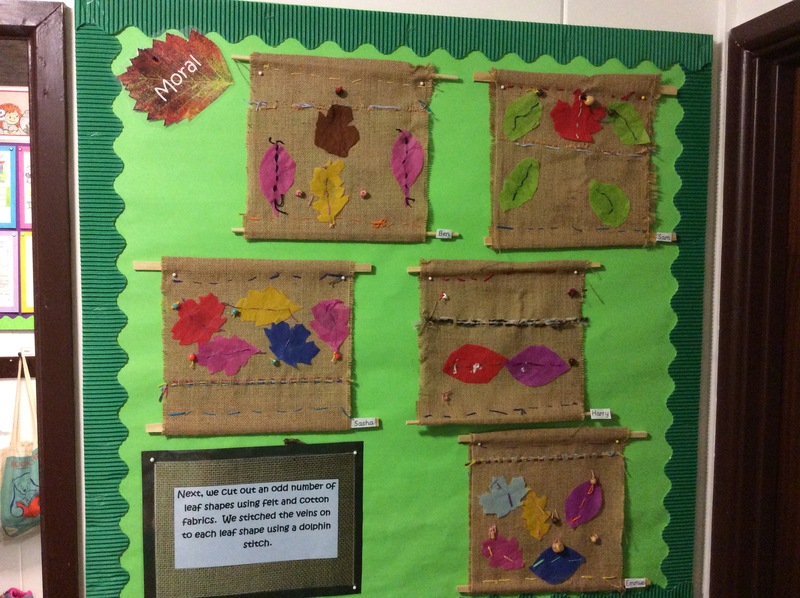 Next, we cut out an odd number of leaf shapes using felt and cotton fabrics. 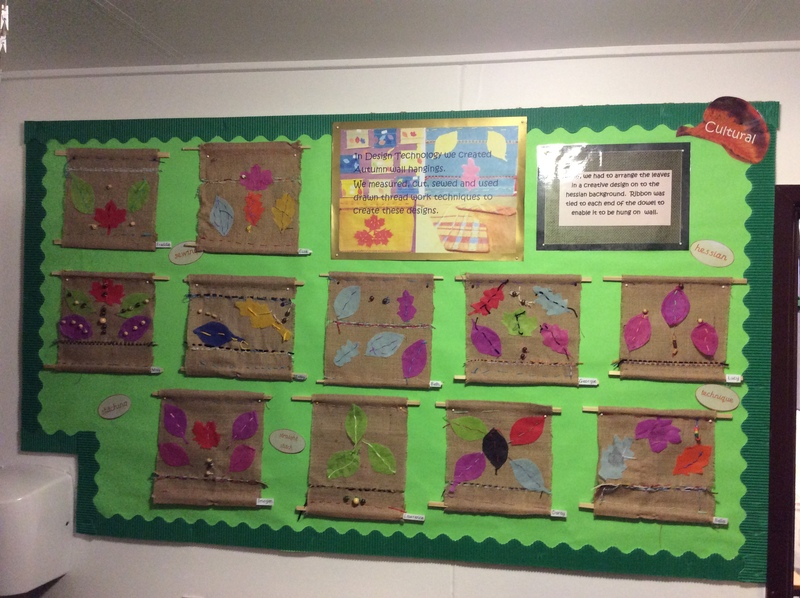 We stitched the veins on each leaf using a dolphin stitch. 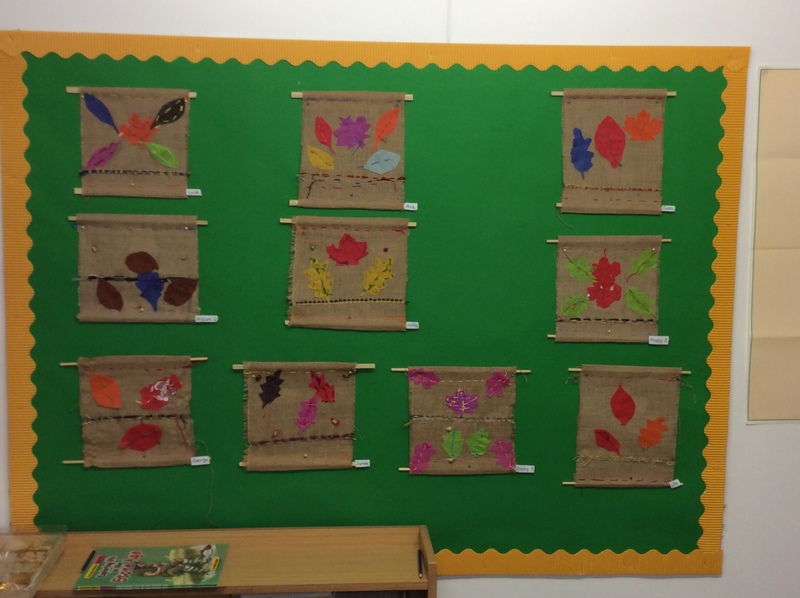 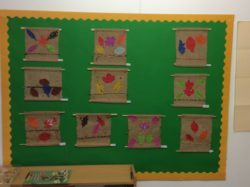 Finally, we had to arrange the leaves in a creative design on our hessian background. 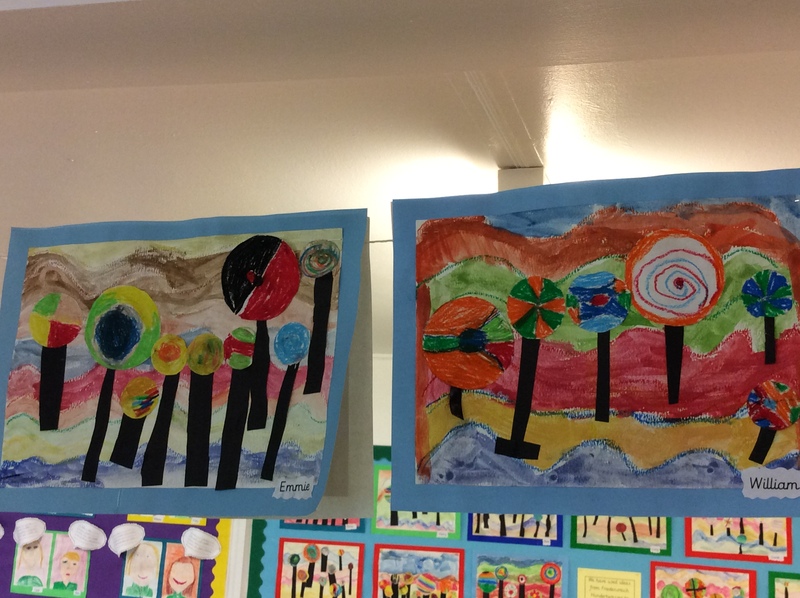 In Art we have been studying the work of Friedensreich Hundertwasser, a Vienese artist. 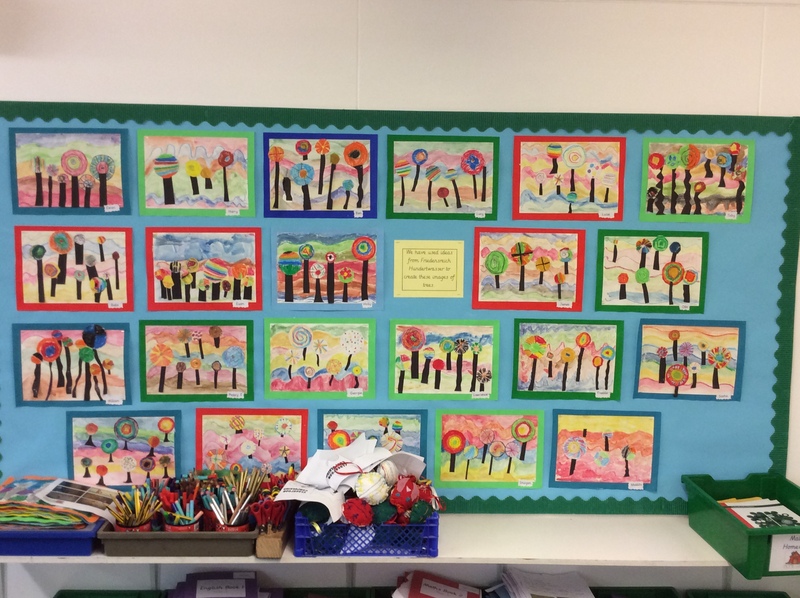 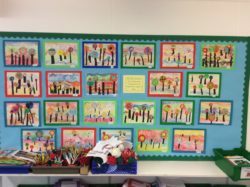 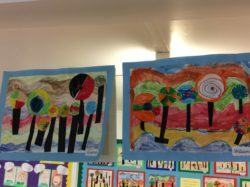 We have used ideas from Friedensreich Hundertwasser to create these images of trees. 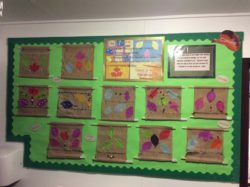 We wrote poems about trees and leaves in autumn. 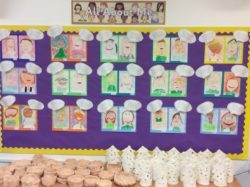 Can you find the rhyming words? 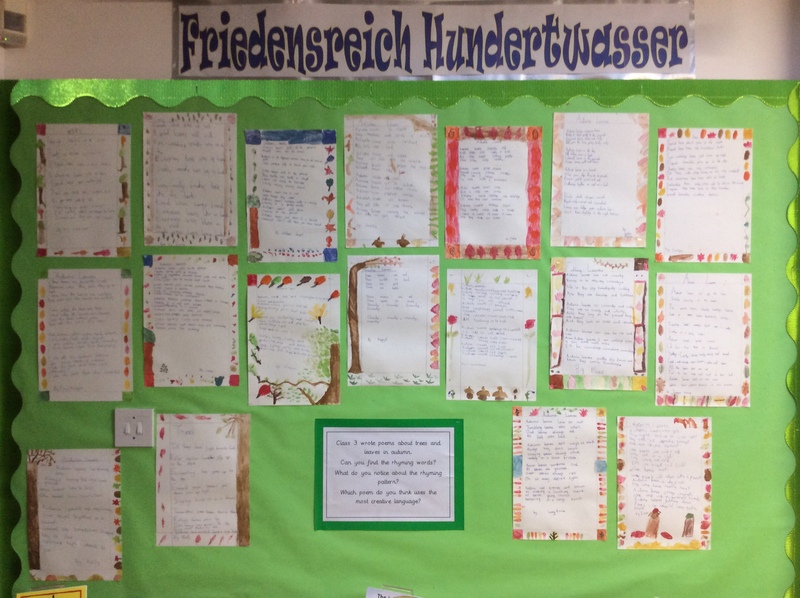 What do you notice about the rhyming pattern? We have been using different media to create these tree designs. 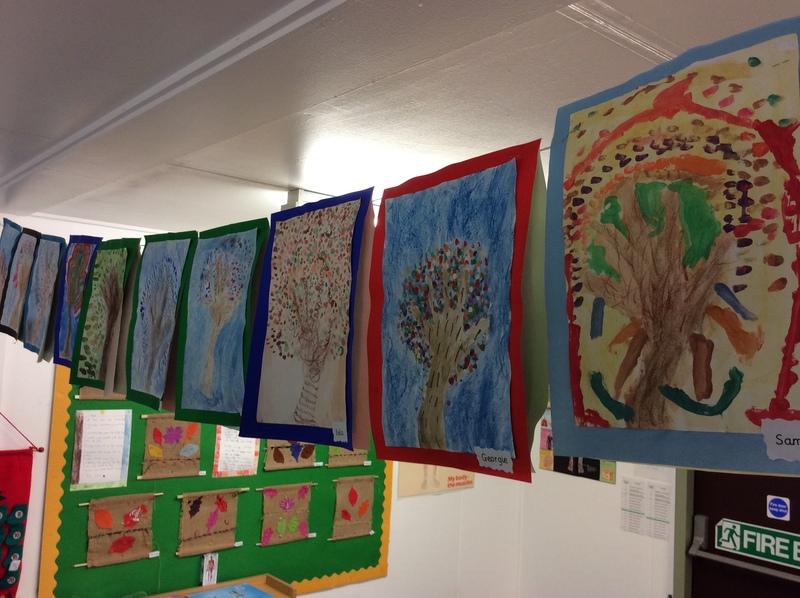 We have used watercolours, paint and pastel crayons. 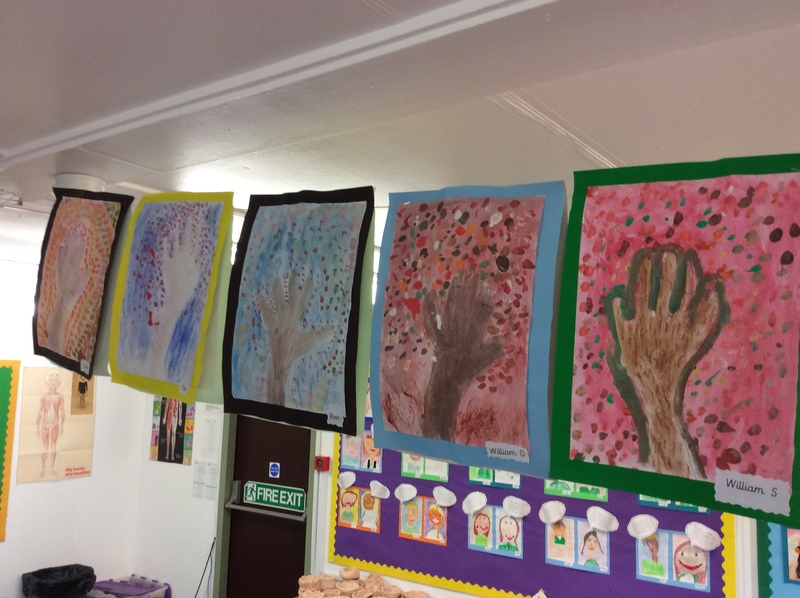 Can you spot our handprints?